Align executives, managers, employees, customers, and suppliers. Sense, respond, adapt and thrive amidst uncertain times. Is your company ready to thrive amidst uncertain times? 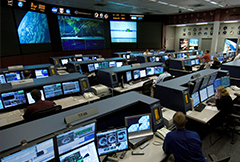 Command Centers engage an organization cross-functionally to address opportunities and risks. Is your company ready for uncertain times? Starting Outside-In makes sure that you always seek to help your customers address their biggest risks. Far too many companies focus on themselves in uncertain times. Alta Via helps your organization get "outside-in" focused, driving to answers that help your customers and key partners thrive in uncertain economic times. Overcome the greatest barrier to change – the lack of consensus around a new set of targets and measurable program objectives. Alta Via simplifies building consensus around new goals and objectives for large projects or to drive to an Adaptive Leadership. 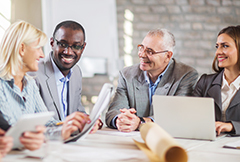 Alta Via helps executives and communication teams engage employees, managers, key suppliers and customers in communities with modern, connected, bi-directional, and cross-digital communities. Change isn’t a dramatic event with Alta Via. Change is a process of sharing, molding, and engaging teams in success. Our processes and approaches transform pockets of resistance into teams engaged in a series of small efforts that add up to real outcomes for all involved. Want Measurable, Positive Results? Drive change to Outcomes, not to deadlines and budgets. Achieve forward progress and Realize Results from change through Alta Via’s innovative Outcome Management program. 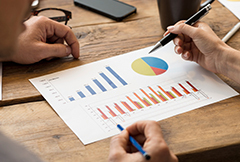 Alta Via helps you with a management cadence and dashboards that guide your leadership to see clearly progress to results, not just budget and schedule. Interested in learning more about thriving amidst uncertainty?